Early spring frosts may still prevent you from planting, but now is still the perfect time to get your lawn and garden in order for the planting season. Follow these cleanup tips to get your yard in top shape. -Remove old mulch, leaves, and wood chips from your flower beds and give them a nutrient boost by raking the remaining mulch into the soil. -Edge the perimeter of your garden bed and sidewalks. 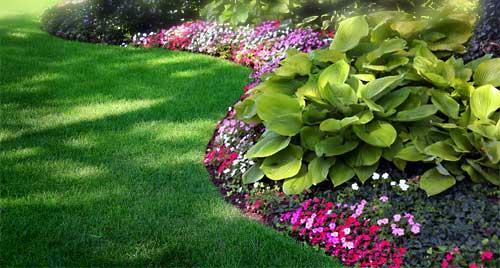 This will prevent grass from growing over the cement and give the landscape a clean look. -Apply a 3-inch layer of new mulch to the garden bed and around tree trunks to help retain moisture and keep the roots warm. -Fall and winter have given your plants ample growing time, so you may need to prune back perennial shrubs and grasses that were pruned back in the fall. Use pruning shears or loppers, depending on the branch diameter. DO NOT prune spring flowering shrubs. For more information on when to prune and how plants react to pruning, visit North Carolina State University's Pruning Factsheet. Sound like too much work? Let the professional staff at Whispering Hills do your spring cleanup for you. Call 847-658-5610 for scheduling and pricing details.